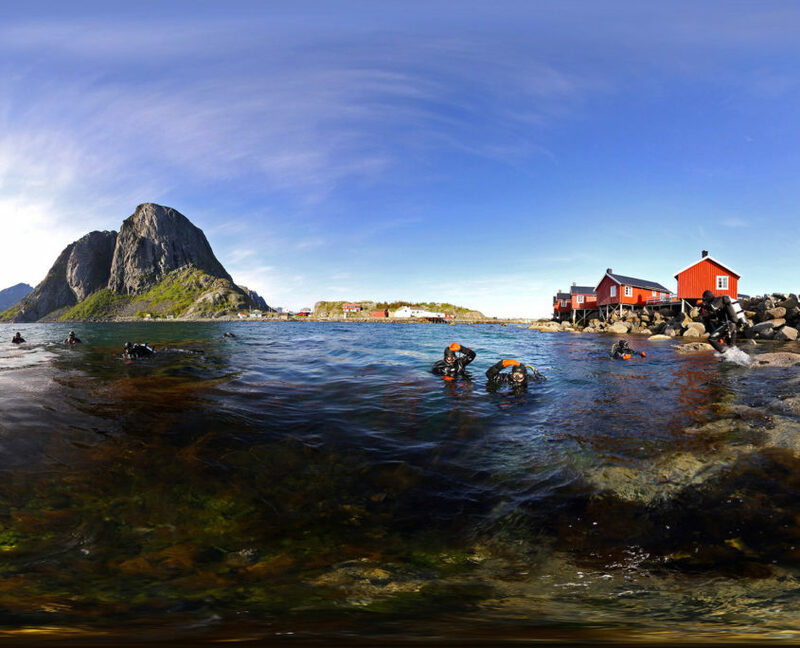 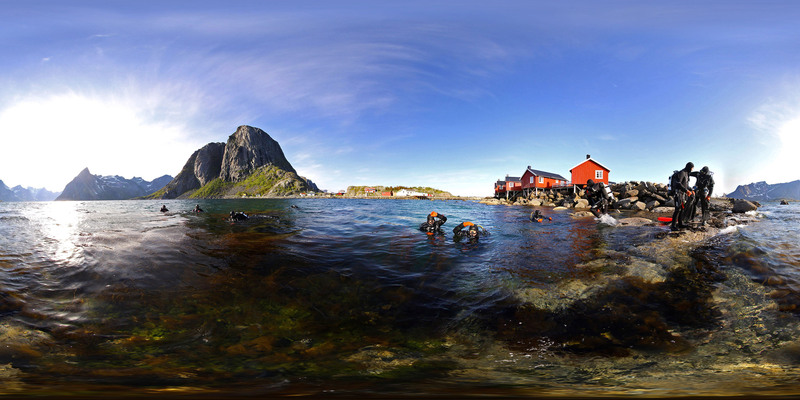 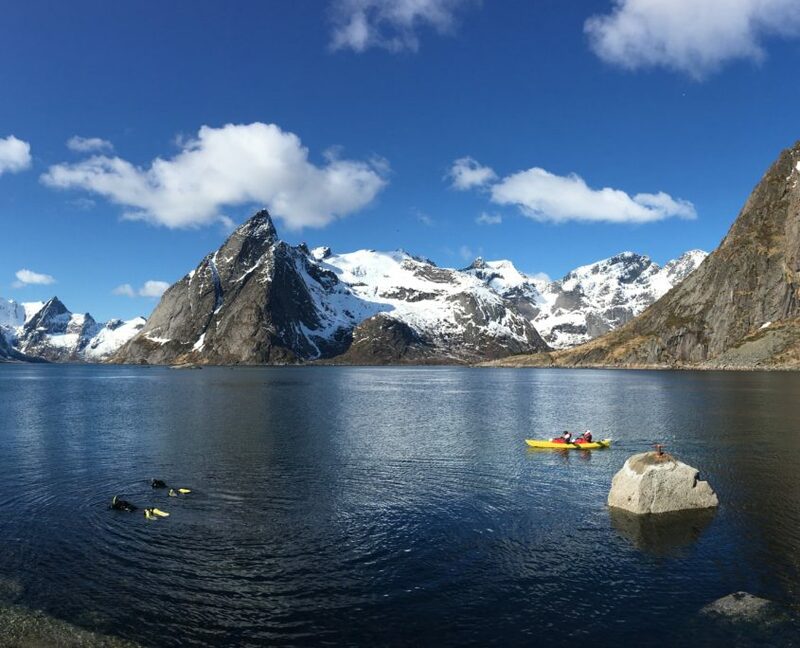 Scuba diving within the Arctic Circle in the Lofoten is an incredible experience. 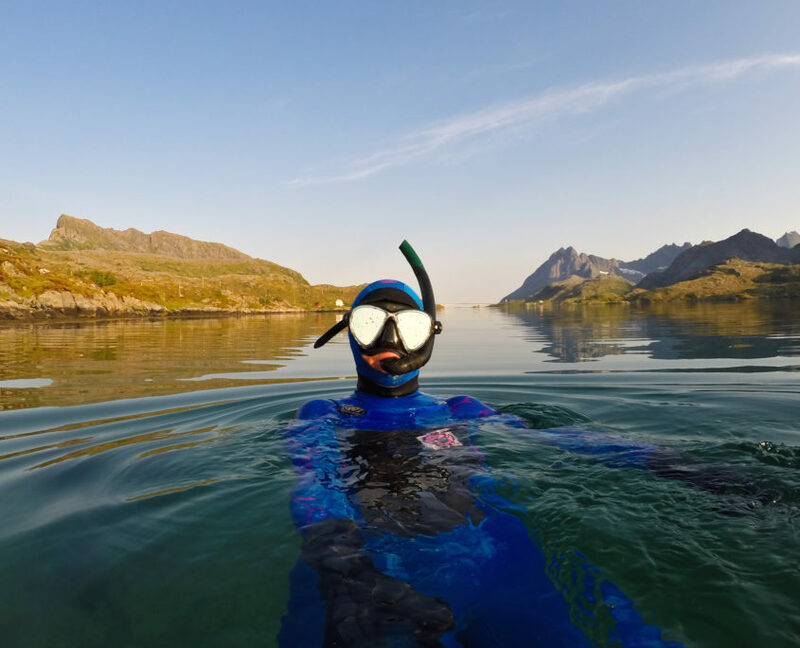 Discover the arctic fauna and flora of these pristine waters. 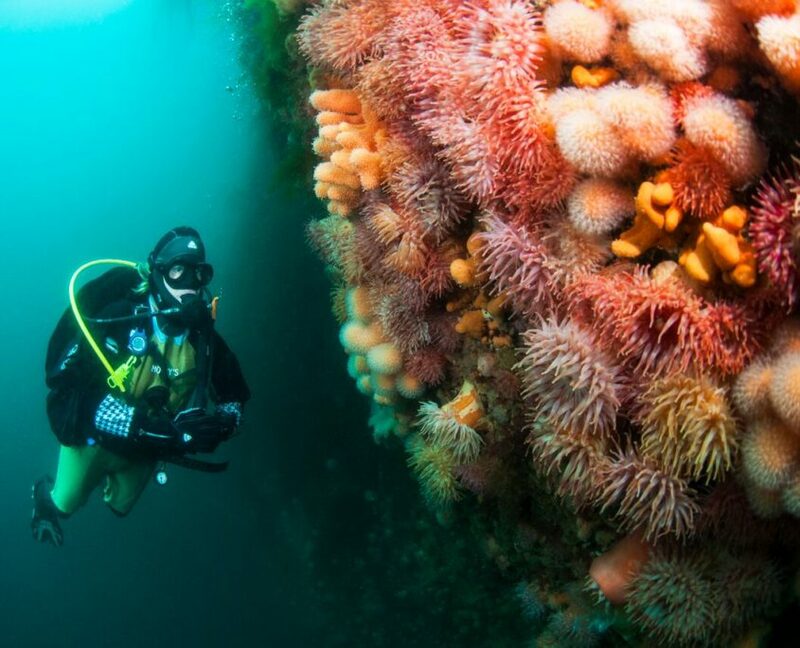 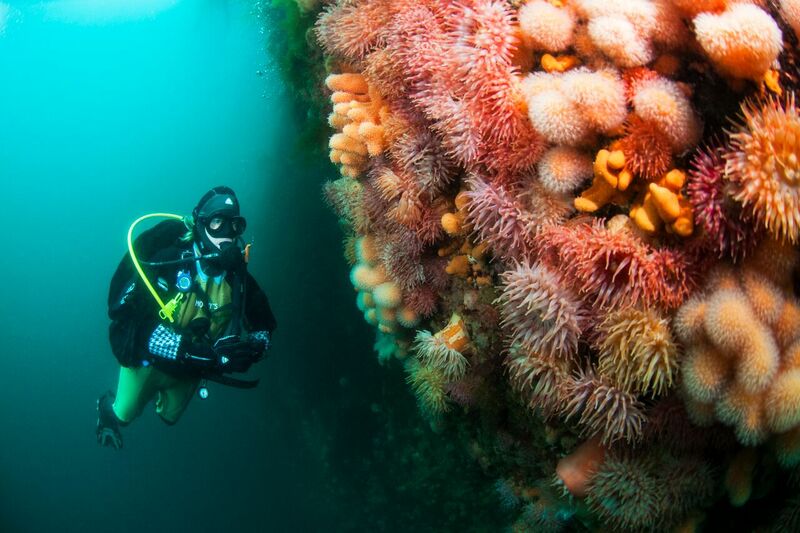 The spring is the perfect time to begin your diving adventure. 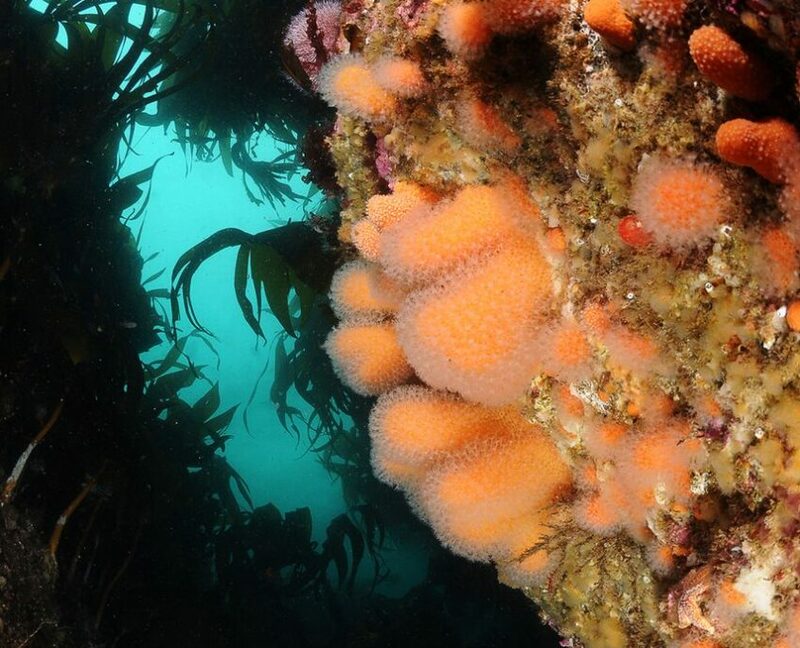 The days are getting longer and warmer and life returns to the sea. 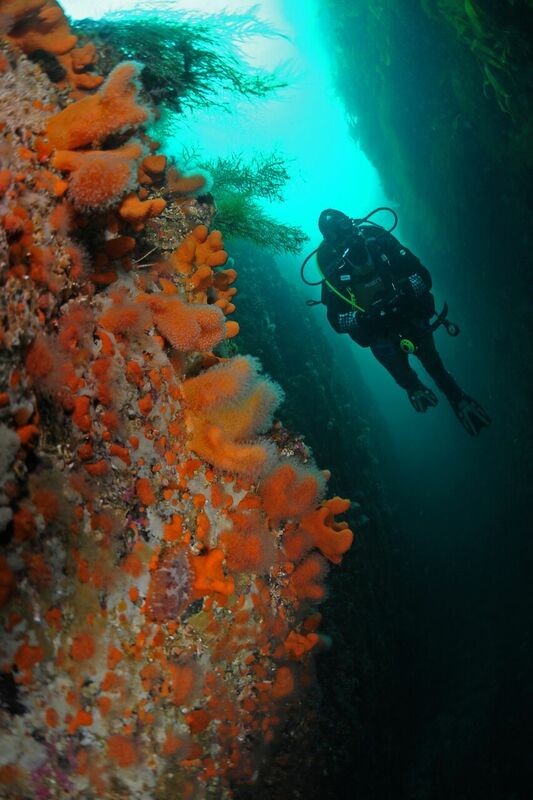 You will find here many new underwater adventures. 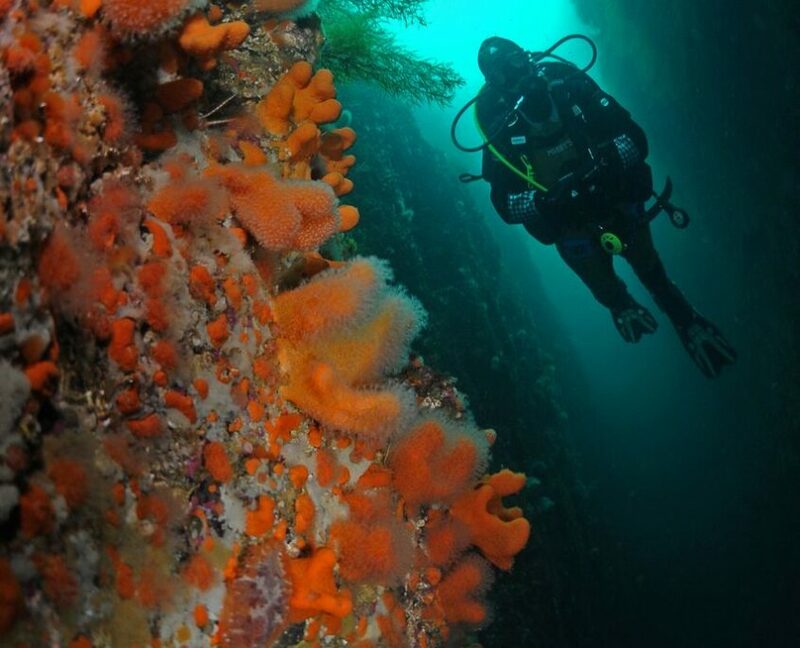 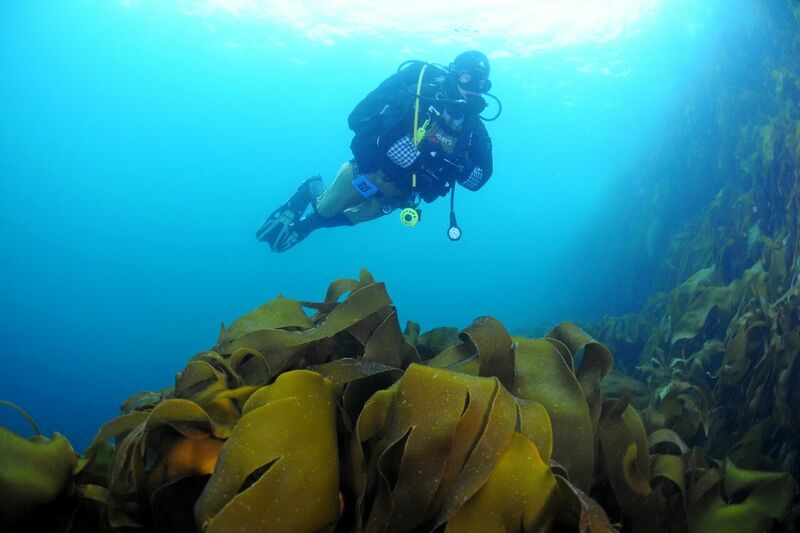 Diving company offers a wide selection of dive sites suited to your needs and skill level, ranging from quiet fjords to subsea current swept straits ideal for experienced divers. 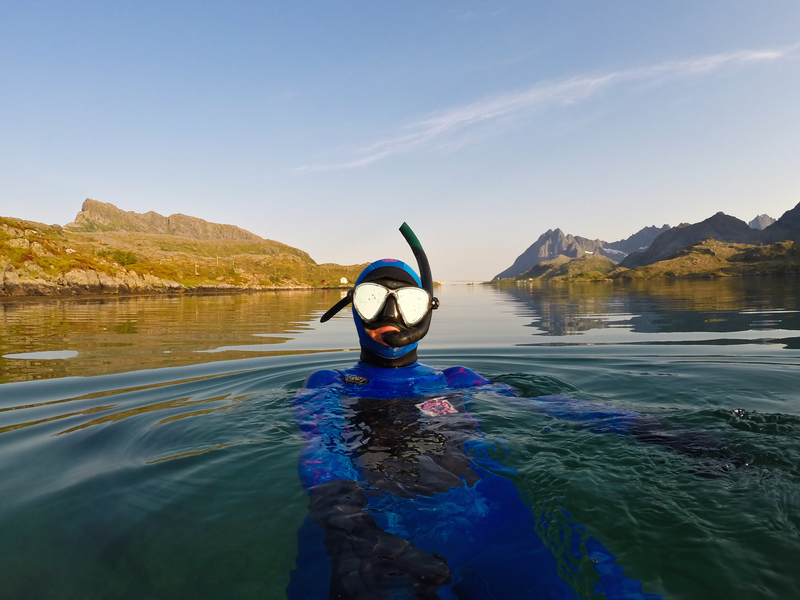 Snorkelling is a great way to begin your underwater adventures. 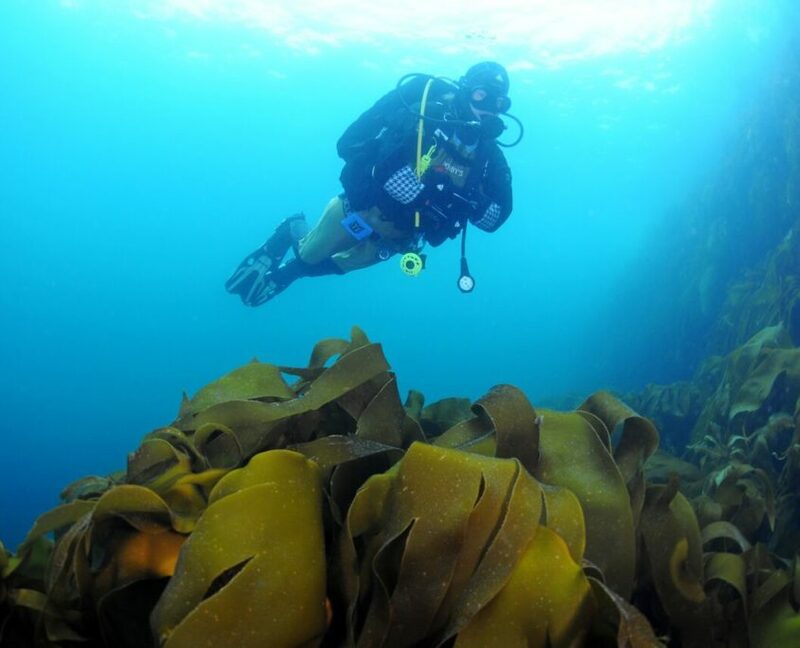 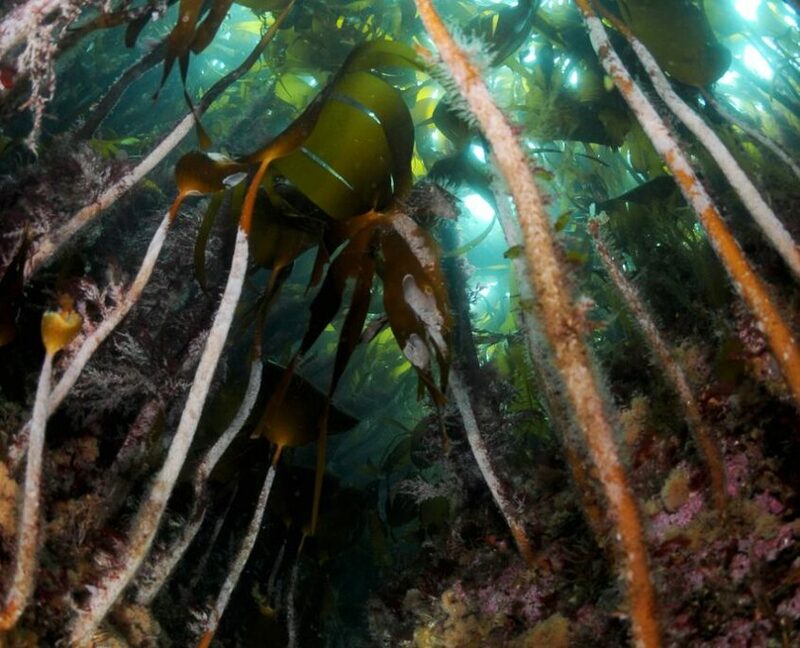 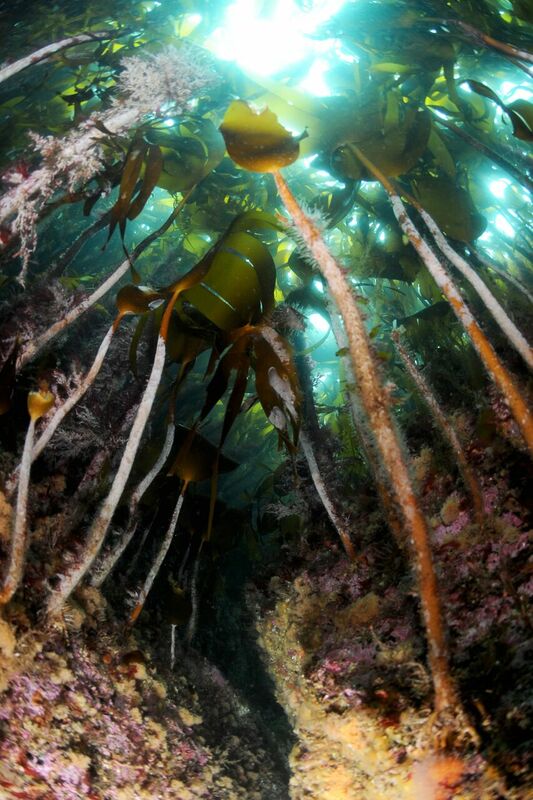 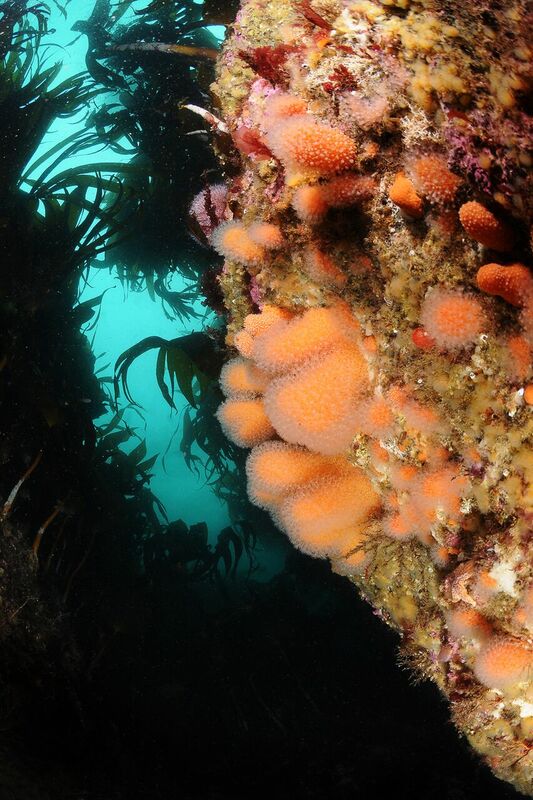 It’s your chance to start exploring a new and fascinating world with a minimum of equipment and little training.You can see beautiful kelp forests, fields of algae, spectacular jellyfish, urchins and starfish, not to mention large fish species such as: halibut, cod, wolfish or flounder.